The Melanie the Badger novel came to me literally right after I finished my previous animal novel The Warren. The ending came to me first, as did the idea to make the ending also the beginning of the novel, and then the entire novel was in my head. The hardest part was getting it out of my head and into the computer. The inspiration for the story of her life is found in the Anastasia Chapter of The Warren novel, when Anastasia meets Melanie; although Melanie is not specifically mentioned by name in Anastasia’s story, this was a part of Anastasia’s story about two natural enemies bonding together out of necessity to survive a winter. This time told from the point of view of a predator as they both learn to understand each other, after each having a tragedy in their lives. 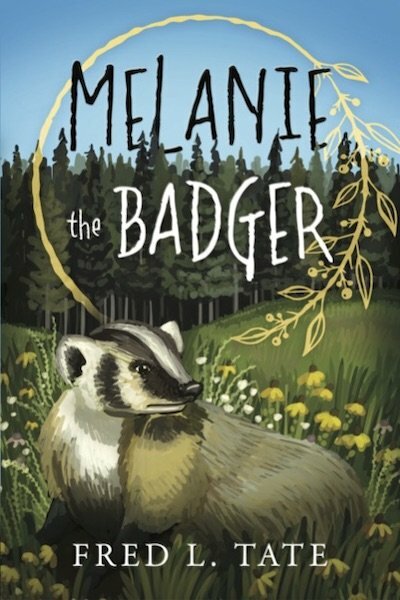 Melanie the Badger is told over the course of her life as she slowly but surely begins to understand the true natures of the humans that she meets; witnessing the goodness of some humans and the evil of other humans as she does. Born in Little Rock Arkansas, joined the navy voluntarily while still in high school, honorably retiring from the Navy as a Chief Petty Officer after 23 years of service, currently a resident of California and working in Hollywood on the NCIS TV show as a Stand In. Adopter of animals, usually rescued by others. Photographer; mostly of the desert, and its creatures, and my adopted pets.